The Dakota Series of axes was named after one of the last great frontiers of 1800's America. These axes offer rugged reliability and high quality craftsmanship that you can depend on. This Felling Axe model is 33" overall with an 8" hand hammered axe head. 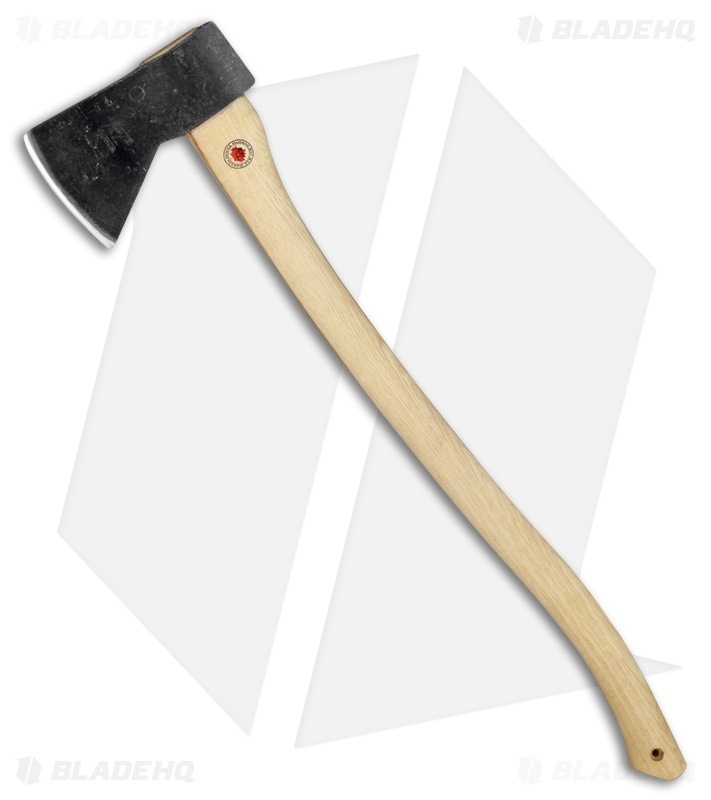 An 8" carbon steel blade with a 5.25" edge and a hand hammered finish offers strength and durability. A smooth USA hickory wood handle provides a secure and comfortable grip. 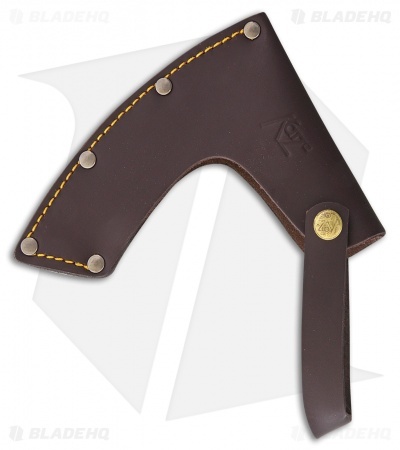 Item includes a hand-sewn and riveted saddle leather sheath with a belt loop for secure carry.